Hyderabad, Feb 20: Digital media super star Deepthi Sunaina has raced past popular anchor Anasuya Bharadwaj. Deepthi has beaten Anasuya to become ranking at 12th place ahead of Anasuya to become the most desirable women in Hyderabad. 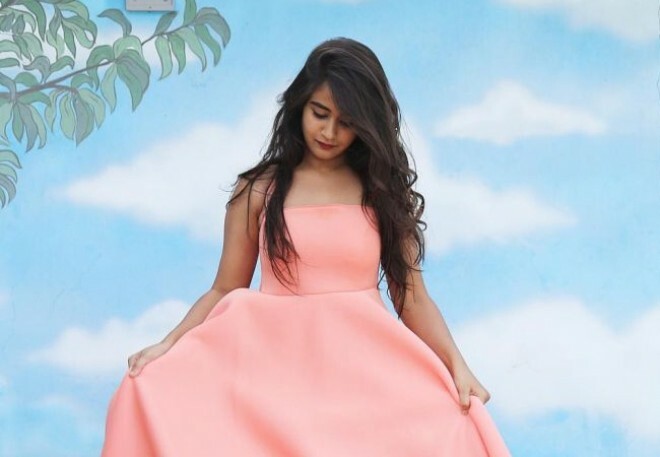 Deepthi, a college goer, was a popular face among social media through her dance and dubsmash videos. But it was Bigg Boss Telugu 2 that catapulted to fame. Meanwhile, Anasuya ranked at 13th place while her Jabardast counterpart Rashmi Gautam landed at the fourth place. Check out the list of top 15 women claim to the most desirable in Hyderabad.